Fauntleroy was full of interest. 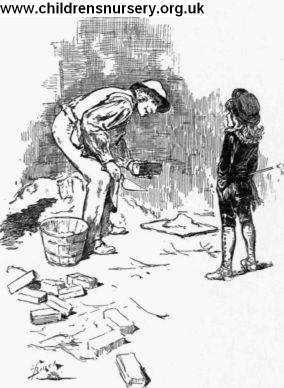 He would dismount from his pony and go and make acquaint­ance with the workmen, asking them questions about building and bricklaying, and telling them things about America. After two or three such conversations, he was able to enlighten the Earl on the subject of brick-making, as they rode home.
" I always like to know about things like those," he said, "be­cause you never know what you are coming to."